I am still stoked and on a high from my recent trip. 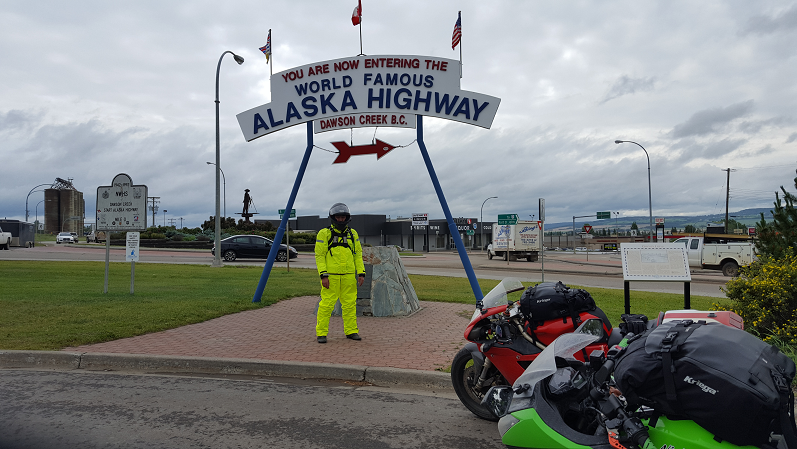 I spend about 3 weeks riding from southern California to Prudhoe Bay Alaska, Deadhorse on my 1995 Ducati 916 putting in over 8900 miles on this trip alone. 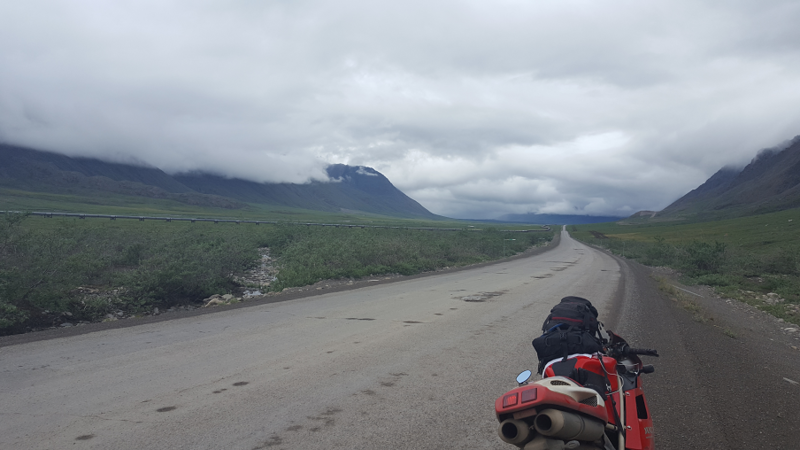 It was long, rainy, cold and definitely challenging at times. 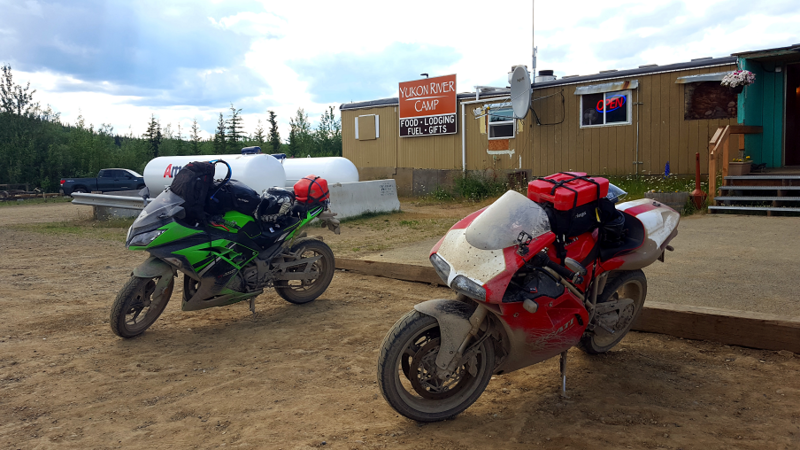 There were a few incidents where I thought I lost the front end and would go down while on the Dalton Highway but I managed to make it in one piece. 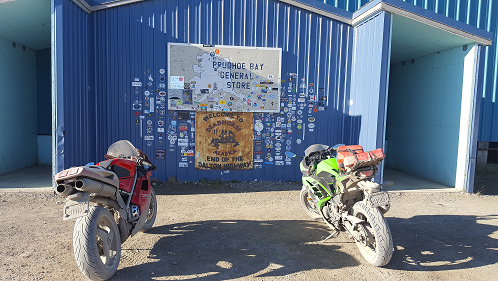 I don't think there are too many sport bikes that have made the trek to Deadhorse let alone a 916. I can say I feel pretty happy and accomplished to have made this trip. 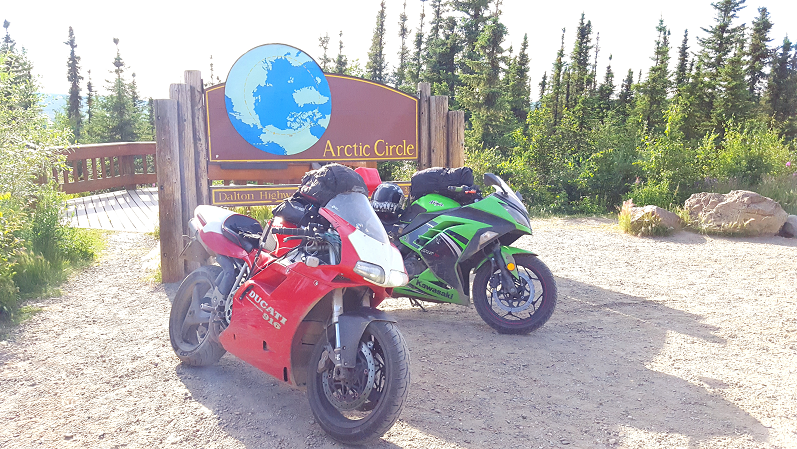 I am also proud of my gf who decided to come with me along this trip riding her 2014 Ninja 300. 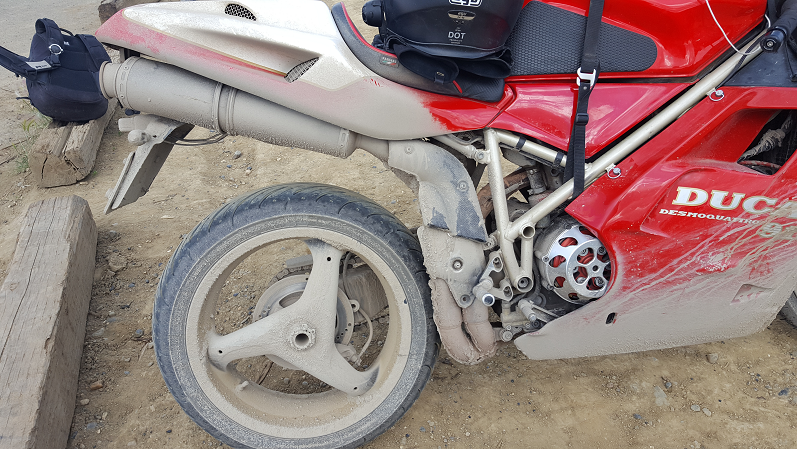 I have been in love with riding this 916 since I bought it in 2008. It has been a blast riding it in the canyons and at the track, and I have enjoyed using it as my touring bike as well. I actually clocked over 100k miles on it prior to my run to Alaska and I can honestly say these miles were all non-commuter. 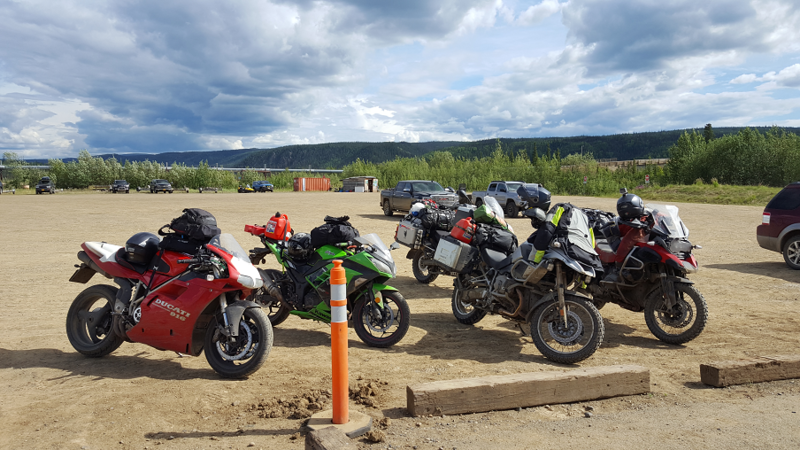 The trip was epic, the scenery amazing, and like other riders who rode Canada and Alaska there is so much to see that we did not see all we wanted in the 3 weeks we only had. 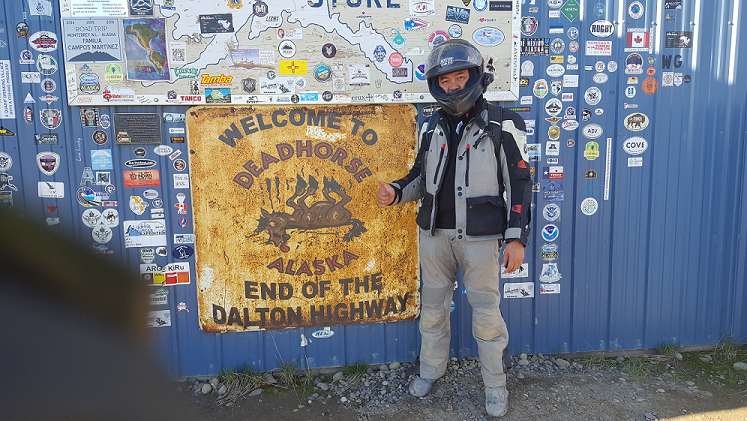 It was definitely worth it even though at times it did not feel like that especially riding the Dalton Highway. scott, John, SS904 and 10 others like this. Last edited by fanj400; Jul 20th, 2017 at 5:10 pm. Holy Crap!! You are Amazing...so is your GF! Big Respect!! Dan. "Painfully mistaking my big talk for the truth" Samantha Fish. Oh my!!! Thanks for the pics! Can you describe your trip further? Did you do a travel blog? Did you experience mechanical issues? You and your GF are the real deal! I am impressed! And some say don't ride in the rain... Pfft. 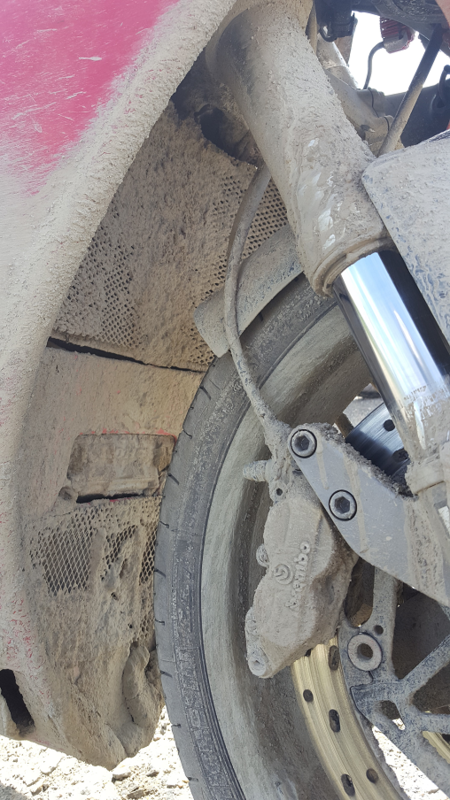 For some reason I like pics of bikes w/lost of mud and crap over them. ducvet and Gadgetech like this. 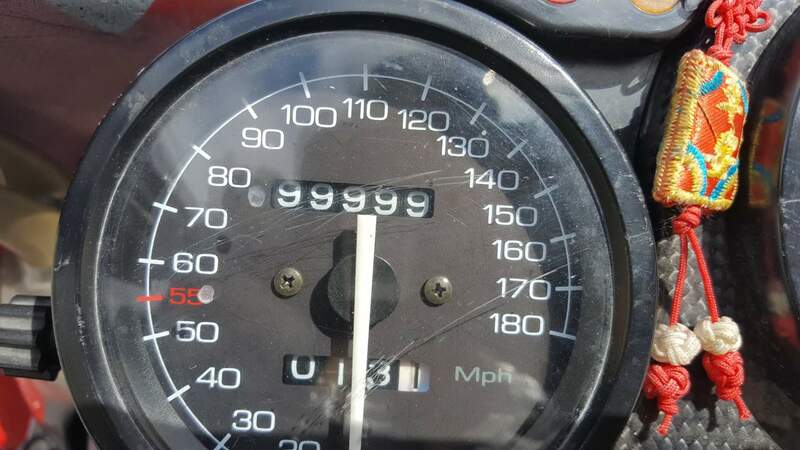 Not only did you make it there on a sport bike...you made it there on sport bike with 100,000 miles! Innnnnnnnnnncredible.....doesn't do justice to that ride. Congratulations!!!! You really do need to tell us more!!! This is the kind of thing I love to read. Great times I am sure and what a cool girlfriend.